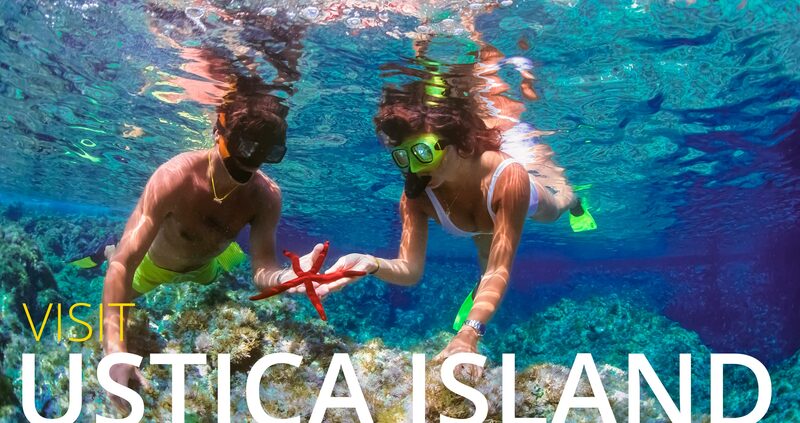 Ustica is a charming island which offers many natural and cultural attractions. The small island of Ustica is well known for its nature, sea and culture, all of which mix together to provide a unique holiday. The island offers many attractions such as sea watching in the Marine Protected Area, here with the help of guides you can discover the prominent and lush marine life of the island and the ancient ruins that lay on the sea bed. Ustica has also a great selection of archaeological sites such as the Faraglioni village, the archaeological museum rich in artefacts and incredible ruins. Moreover, this island offers marvellous walks that allow you to discover Rocca Falconiera, a building of the Roman period, and the towers of the Bourbon age. In the afternoon the bars and the centre of Ustica are always populated by youth and tourists ready to celebrate the summer, enjoying a cool selection of wines and the company of friends; for this reason the island has an energetic nightlife, offering festivals and events during and several beautiful places to eat local food as well as renowned nightclubs.